I had high hopes that I would have a working kitchen before we moved into the new house. I was wrong. The kitchen is getting close, but we are going to have a week or two of ordering pizzas, which is fine by me – I figure we will just make a pizza party out of it! 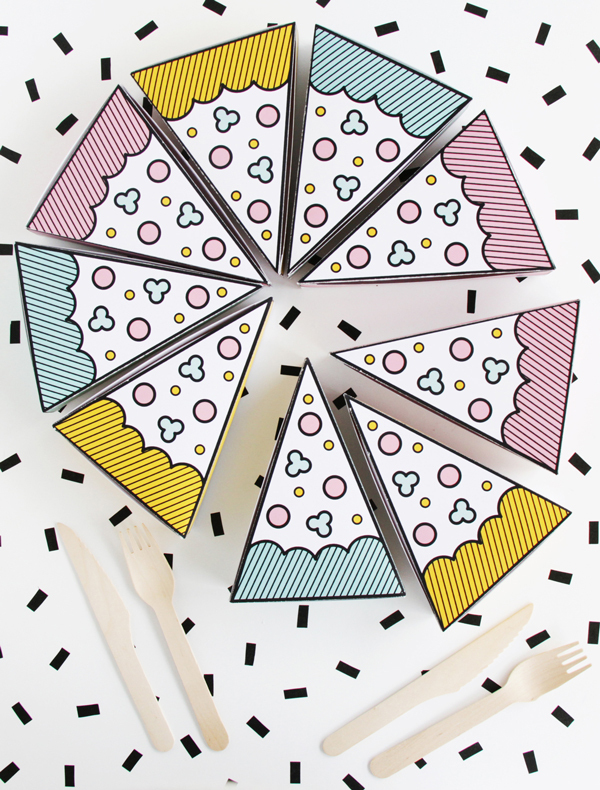 Serving pizza is an easy way to celebrate almost anything and made even better with these graphically fun printable pizza slice boxes. Or ten stacked up on my dinner table just to make everyone smile. How cute would it be to send home a piece of cold pizza with your friends after a late night party or wedding. 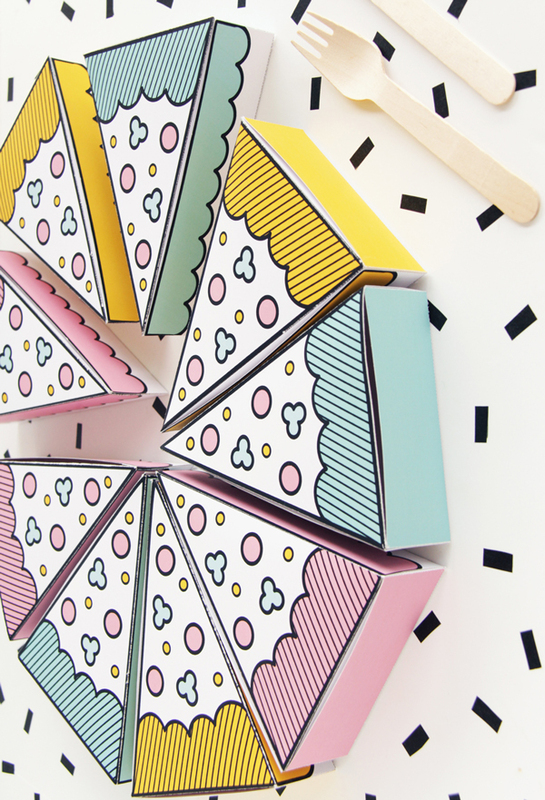 Cold pizza may just be the best party favor idea ever. Everyone would enjoy it at 2am and love you for it. 1. Download the pizza box PDF file onto your computer. 2. 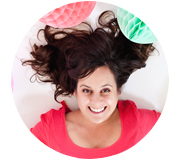 Print the pages on medium thick card stock. 3. 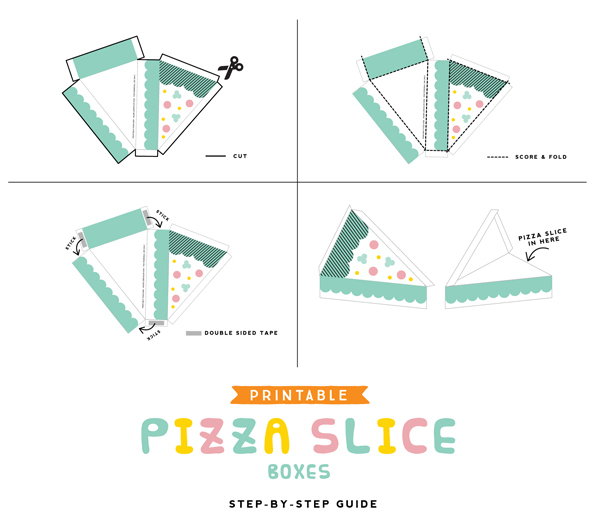 Cut the pizza box template using scissors. 4. 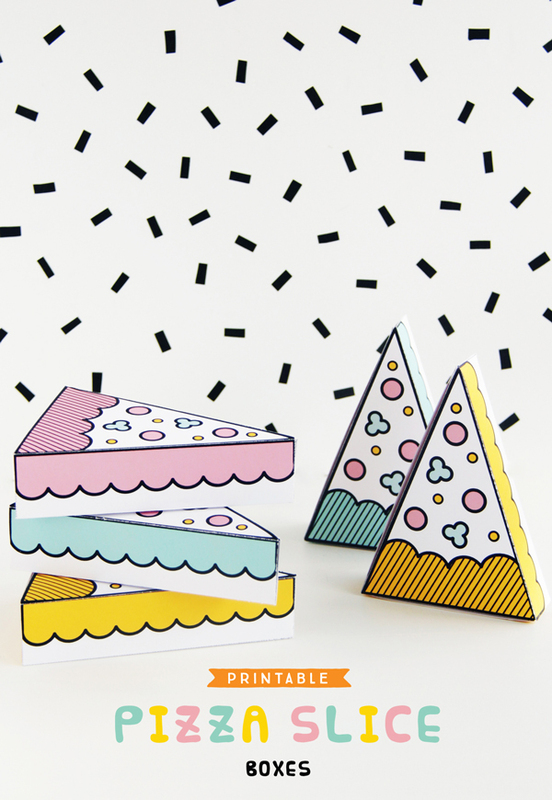 Score the lines shown on the step-by-step guide using the back of your x-acto knife and ruler, then fold. 5. Stick double sided tape on the parts highlighted in grey, and stick on the back of the sides of the box. 6. Put the pizza slice in, or any other snacks, into the rectangle box, and close off the top part of the box. To make one whole pizza, you will need 9 pizza boxes. Serve them together for a festive pie display, or set one slice box at everyone’s seat for an easy party table no matter what condition the kitchen is currently in. A dinner to go never looked so great! (Graphic design + photography ©A Subtle Revelry by Wita Puspita). Wow, those boxes have a Roy Lichtenstein feeling. What a lovely way to share a pizza, thanks ! 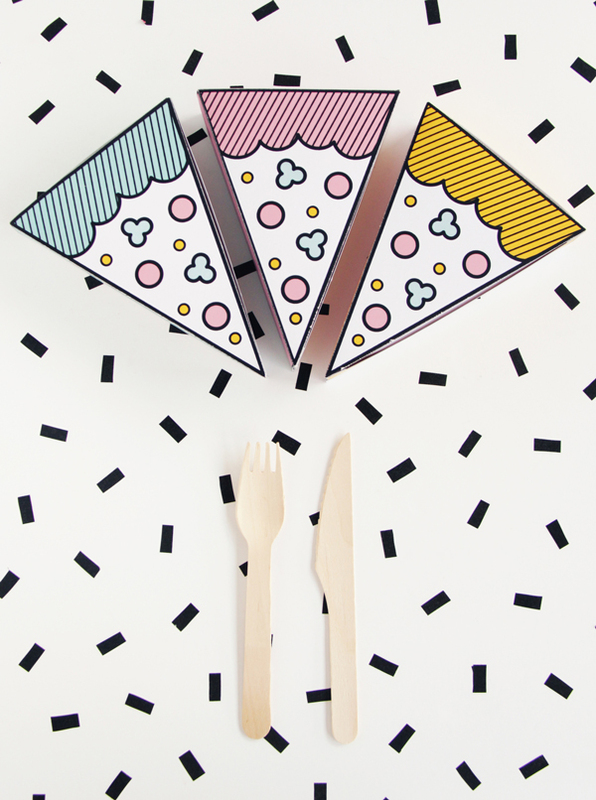 Pingback: Pizza Slice Boxes on A Subtle Revelry - Design Is Yay !